Collection Automation Services Now Available Through Cortera Pulse! At Caine & Weiner, our goal is not simply to meet your expectations, but rather, to exceed them. As a result, we’re pleased to announce that we have partnered with Cortera (an industry leader in business analytics) to bring you the best-in-class in receivables management solutions. 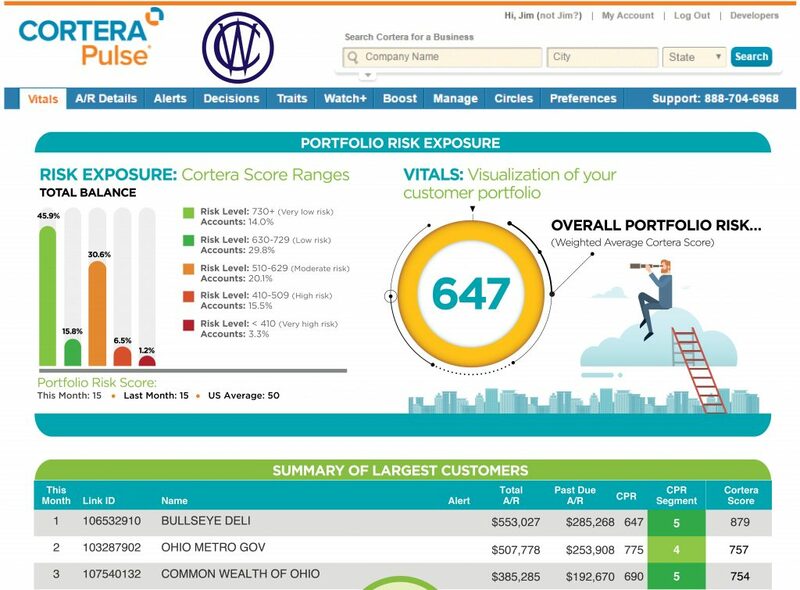 Caine & Weiner’s version of Cortera Pulse can help you stay informed of important changes in your A/R portfolio, and effortlessly click-to-place a claim for collections with Caine & Weiner directly from the monitoring tool. Let the data speak for itself in ways it never has! Take advantage of this exclusive Cortera Pulse 10-day FREE Trial offer, by visiting this link to sign up, or contact [email protected] to arrange a demo.